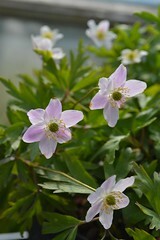 Large, glossy leaves and tall spires of purple and white hooded flowers late spring and summer. 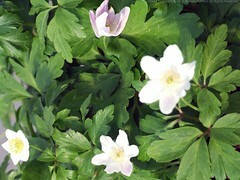 Large leaves, mauve and white flowers. Very free-flowering for me! 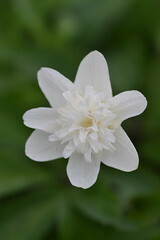 A selected good white form. Glossy, spiky leaves. 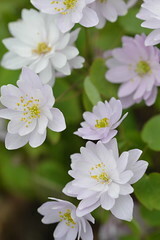 Purple-hooded, white-lipped flowers. Very architectural! Pale mauve flowers July-September and deeply cut leaves. 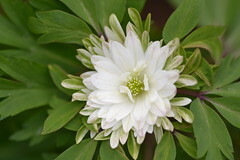 Lovely ivory flowers, grey-green foliage. 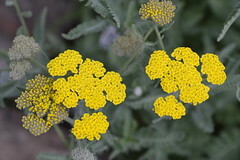 The best Achillea I've seen for a while! 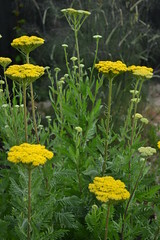 Strong lemon-yellow flowerheads, feathery silver-grey foliage. Bright pink flowers fade to soft pink over summer. Sunny spot. Apricot to red flowers and silver-green foliage. Large, flat golden flowerheads. An old favourite. Full sun, drought tolerant. Peachy flowers fade to cream with age. 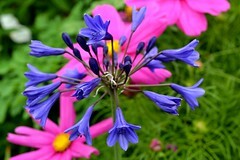 Dark violet-blue hooded flowers from July-September. 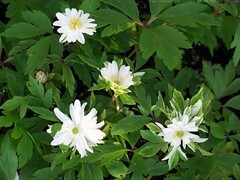 A stately plant for sun or shade. One of the best varieties. Strong stems bear spires of deep blue flowers from early autumn. Part shade. 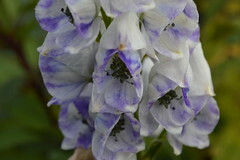 Large, hooded, ivory flowers smudged with violet, August-October. Worth a try! 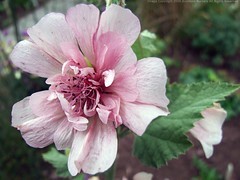 A new variety with almost black foliage and spikes of pale pink fragrant flowers late summer to autumn. Moist soil in part shade. 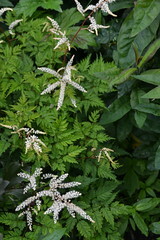 Dark bronze leaves and very fragrant white flowers. Elegant and well-behaved. 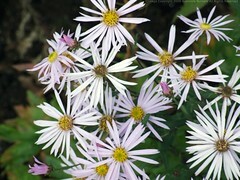 White flowers in autumn which quickly fade to pink . Moist soil in part shade. Spires of light violet bellflowers from early summer to autumn. Does well in sun or part shade. Large, solid heads of pure white flowers from July-September. Hardy. Well-drained good soil in sun. 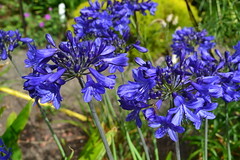 Blue-black flowers on dark stems from July-September. Hardy. 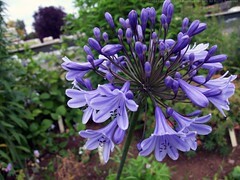 Huge grey-blue flowers on upright stems. One of the best! Hardy. 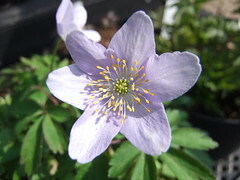 An old reliable favourite, with dark blue-violet flowers July-September. Sun. 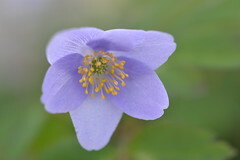 Lovely mid blue-violet flowers with a darker midrib, July-August. Floriferous, and hardy. 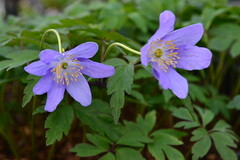 Luminous purple-blue flowers with deeper veins, July-Sept. 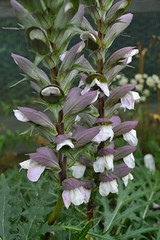 Selected at Beeches Nursery. 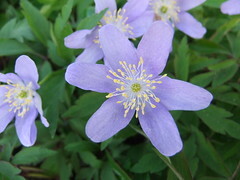 Pale violet-blue flowers, darker inside. Hardy. Blue flowers with strong striping. Sun. Large mid to dark blue flowers, later than usual. Strong and upright. Sun. 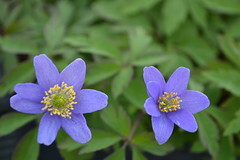 Probably the darkest blue flowers, and hardy too! Stunning! 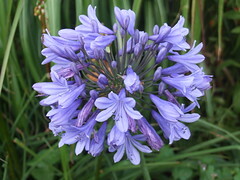 Mid to dark blue flowerheads on a compact plant. 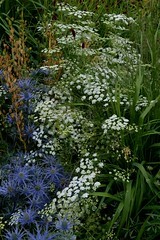 Front of border, or good in a container. 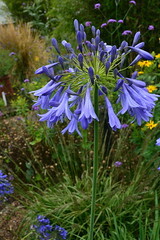 Rich blue flowerheads from purple buds late summer on very tall stems. Sparse flowerheads but a real looker! Hardy. 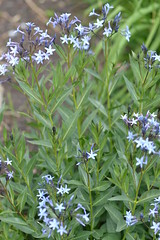 Shorter variety, with mid-blue flowers late summer. 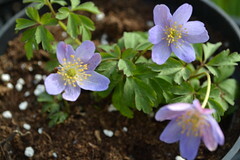 Very hardy, good for a small garden or in a container. 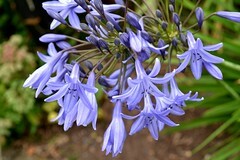 Open, rounded clusters of subtle lilac flowers, darker at the base. Hardy, and very different. Sun. Lovely clear white flowerheads in summer. Sun. 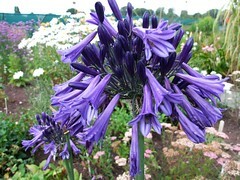 Very large blue flowers with darker midstripes.One of the tallest and latest flowering. Best in the border, not in a container. Much admired in the Library Garden! 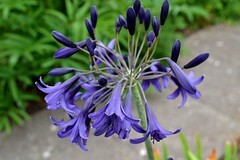 Semi-pendulous, dark violet-blue flowers on tall, upright stems. 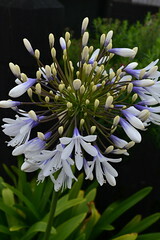 Very striking and later-flowering. Sun. Violet-blue, white-eyed flowers, June-August. 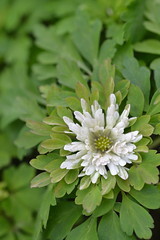 Petite, good in a container or small garden. Hardy. Mid-blue flowers through summer. 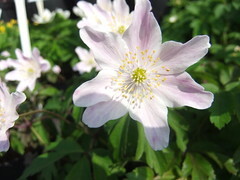 Hardy, and very floriferous! Lovely large white flowers flushed pale blue at the tips. Very desirable, majestic, but slow-growing. 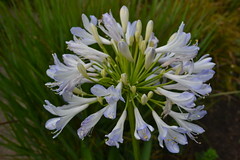 New cultivar with large white flowers that have a distinct blue base to each flower. Much in demand at the nursery! Hardy. 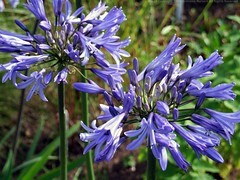 A stately plant, produces luscious deep purple flowers, striped near-black, July-August. Hardy. Sun. 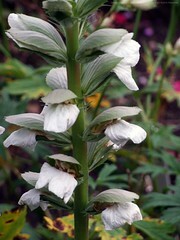 Semi-dwarf variety with drooping white flowers that flush coral-pink with age. 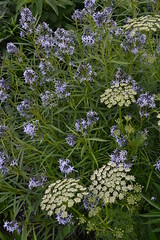 Grey-green narrow leaves and sky blue flowerheads in summer. Hardy. Sunny spot. 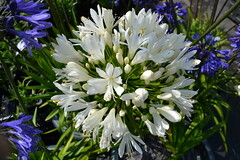 New bicolour variety has good sized heads of white flowers with rich blue bases, July-September. Hardy in a sheltered, well-drained sunny spot. Huge heads packed with pure white flowers from August-September. 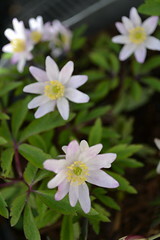 Very eye-catching in a pot or edge of border. 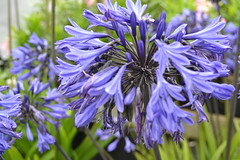 Deep indigo buds open to form beautiful heads of dark blue flowers with darker veining, over a tidy clump of narrow leaves. 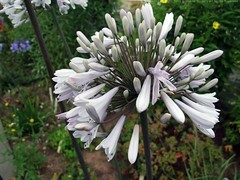 Big heads of grey-white flowers touched with lilac, on very upright stems. 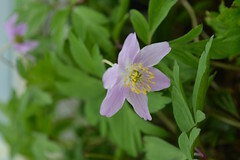 Much admired in the display garden, very atmospheric. Long spires of smoky violet flowers July-October. Aromatic leaves. Perfect bee plant! Prefers sun. 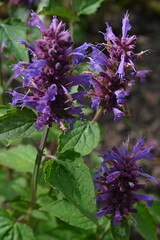 New form, with chunky, deep violet-blue flower spikes July-October. Seems to be long-lived! Sun. 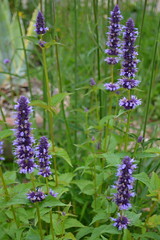 Long spikes of smoky violet-blue flowers all summer. One of the hardy ones! Well drained soil in sun. 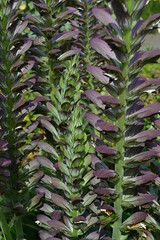 Stunning golden-yellow foliage contrasts well with purple-blue flower spikes from July-September. Syn. Eupatorium. Wonderful chocolate foliage on a compact, upright plant. Pure white flowerheads July-Sept. Attractive to bees and butterflies. Moist soil in sun to part shade. 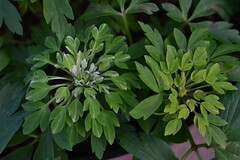 Serrated grey-green leaves edged with white. 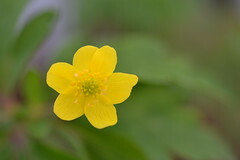 Tiny yellow flowers dotted along each stem. Subtle, but eye-catching! 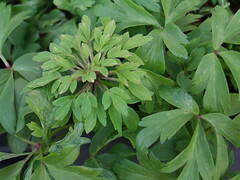 Useful evergreen groundcover plant for a shady, moist area. 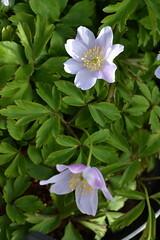 Cream-edged foliage is splashed with burgundy, with deep blue flowers in spring. 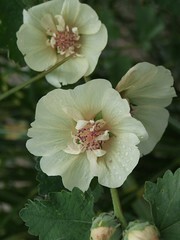 Pale creamy-yellow perennial hollyhock with dark maroon stamens, flowers from June-November. Grey-green rust-free leaves! 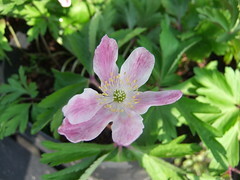 Pale pink flowers, darker in the centre. 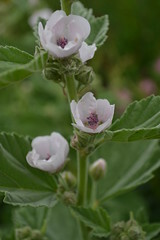 Light and airy plant has lovely lavender-pink mallow flowers all summer. Well-drained soil in sun. Marshmallow! 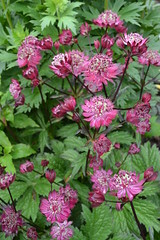 Graceful, tall plant with pale pink, magenta-centred flowers. 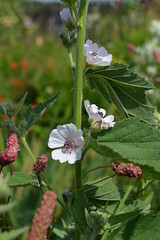 Bees love it, and the root is used to make marshmallows! Well-drained soil in sun. 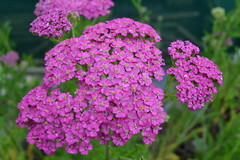 Bushy perennial with soft pink flowers all summer. Sun. 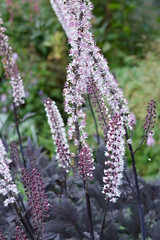 Indispensable hardy annual, a brilliant filler plant for mid to late summer, as seen this year at Great Dixter! 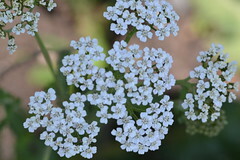 Lacy white cow-parsley flowers and delicate ferny foliage. Well-drained soil in full sun to part shade. 3 for £10! 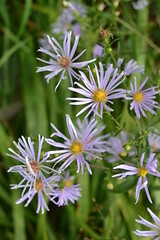 Taller, non-running clump, and with bigger blue starry flowers than A. tabernaemontana. This is to die for, and at last I've found out how to propagate it. Thanks to Joe Sharman! 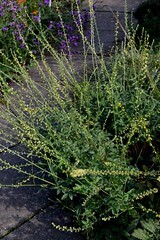 Erect stems bear narrow, lance-shaped leaves interspersed with starry pale blue flowers in summer. Sun. Very impressive! 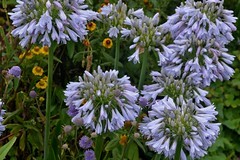 Clusters of starry ice blue flowers on arching stems over summer. Yellow foliage in autumn. Sunny border. Beautiful flowers from March-May. 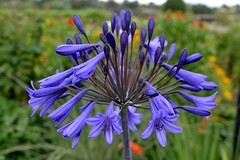 Outer petals are blue, inner petals start grey, turn blue then turquoise. Superb, very collectable! 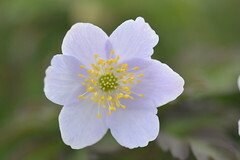 Narrow fingered leaves with multi-petalled, blue-backed white flowers in spring. 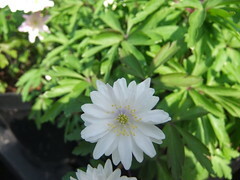 Low-growing anemone with white flowers - dappled shade. 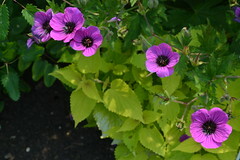 Rich, deep purple-pink two-tone flowers in summer. Sun or part shade. Semi-double dusky pink flowers from August-October. Good in sun or shade. 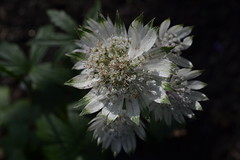 Double white flowers, similar to 'Vestal', but with a larger central ruff. 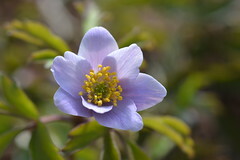 A lovely blue wood anemone, flowering April-May. Shades of grey-blue to azure blue. Lovely double white flowers with a blue eye. 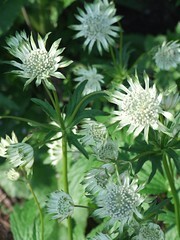 Green-tipped white double flowers with a ruff of green bracts April-May. 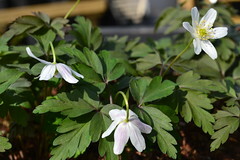 Persistently deep maroon foliage, white flowers turn pink April-May. 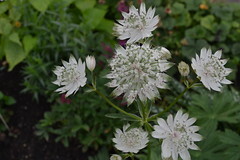 Large white flowers, pale pink on the reverse. 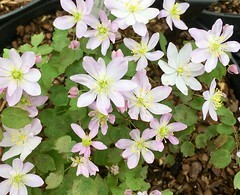 Eyecatching variety, with finely dissected foliage and pale pink flowers. Crazy green and white multi-layered flowers, touched with deep mauve. Recently named and introduced by Bob Brown. 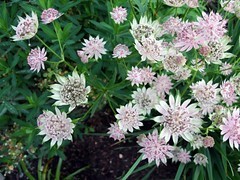 Large, cup-shaped white flowers turn pink. Much requested last year. 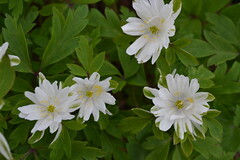 Unusual white flowers with green splashes on outer petals. 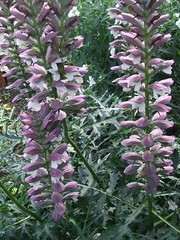 Pale pink flowers turn darker as they mature. Pink flowers marked with white. 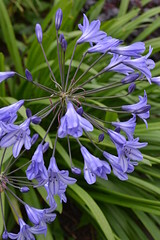 A shorter form with good true blue flowers. Wierd semi-double green and white flowers. Very large pink flowers, turn deeper pink later on. 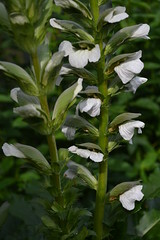 Very unusual double white flowers, the outer bracts are green and white. 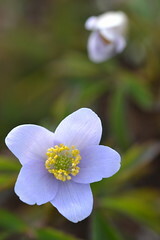 Large pale blue flowers. Vigorous variety. Deep blue flowers with purple backs. Large pink flowers. From Slack Top Nurseries in Yorkshire. 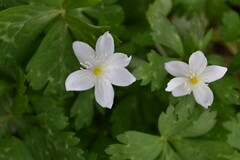 Small white flowers, this was found by Michael Lukaszewicz in the woods at Slenaken. Incorrectly formerly sold by us as 'Stammheim', this was named and found on the mountain of Stammerberg, near Stammheim, by Mathias Thomson. 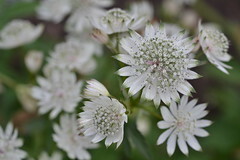 Big white flowers with green markings and a maroon centre. 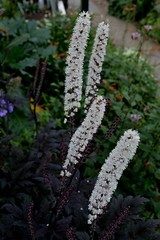 Double white flowers on a neat tidy plant. One of the best! Unique ferny green flowers speckled with white. 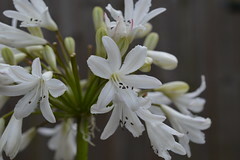 Single white flowers on taller stems. Flowers open white inside, dark pink on reverse, then turns rich pink on both sides. Beautiful! 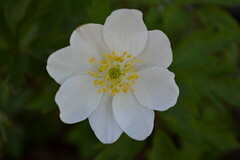 Rarely available form with semi-double white flowers surrounded by green bracts splashed with white. 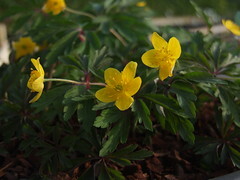 Bright yellow flowers in spring. 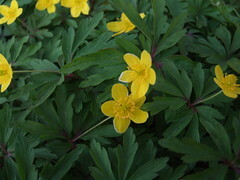 Vigorous form with single yellow flowers. 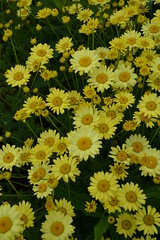 Large yellow nodding flowers March-May. Increases quickly, not a thug! 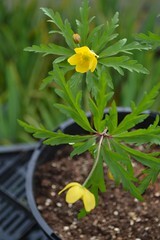 Tiny, bright yellow wood anemone flowers. 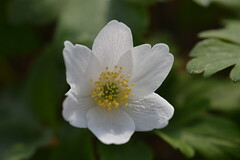 Japanese Anemone with lovely pure white flowers. Best in part shade. 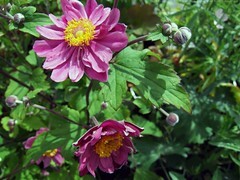 Semi-double dark and light pink petals, flowers are larger than A. 'Hadspen Abundance'. Lovely dark stems. Semi-double snow-white flowers with soft ruffled edges, from September-October. 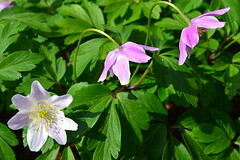 White to pink single flowers. Prefers dappled shade. 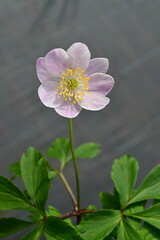 Single, soft pink flowers over delicate foliage. Lovely double pale green flowers. 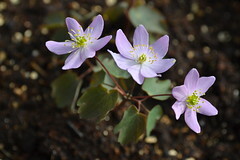 Attractive dark foliage, delicate pink flowers fading paler, from early spring. 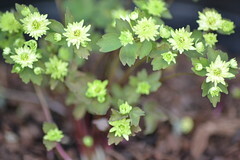 Eyecatching double green flowers over thalictrum-like foliage. A true collector's plant! A true collector's plant. 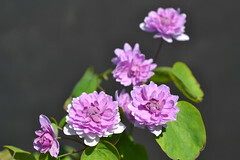 Exquisite, double, lilac-pink flowers from early April to June. Dappled shade. 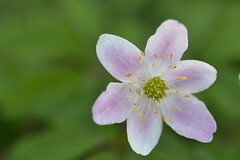 Delicate pale pink flowers March-May. 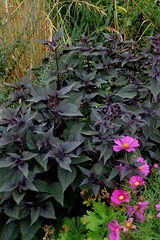 Stunning purple-black pinnate foliage, and dark purple buds open to rounded umbels of pink flowers August-October. Deep moist soil in sun to part shade. Cape Mallow. 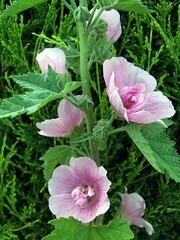 Non-stop flowering, has pink mallow flowers spring to winter in a sheltered sunny spot. Bushy habit, with rich green foliage. 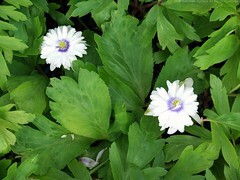 Grey-green foliage topped with creamy-white daisies all summer. Well-drained soil in sun. 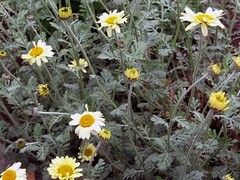 Pale yellow daisies in summer over dark green foliage. Sun. Mouse tail arum. Forms a low carpet of shiny leaves, and in April, long brown mouse tails of the arum flower appear. Shady spot. 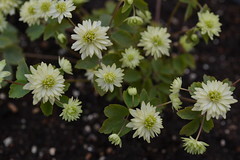 'Mega-thrift' from Desirable Plants, with white flowers above a dome of glaucous broad leaves. Flowers for months. 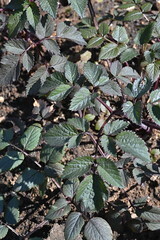 Deep red winter foliage, pink flowers from April-June. Thrift with a difference! 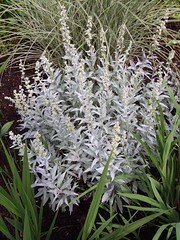 Lovely silver foliage plant, useful for edge of border as a foil for darker plants. Dead-head to keep her at her best! Sunny, well drained spot. 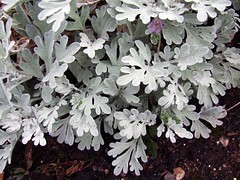 Soft silver foliage, great for groundcover or as a foil for other plants in a container, rockery or front of a sunny border. 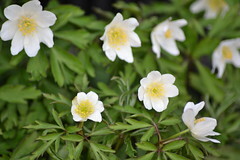 Long, creamy-white scented flowers March-May. Sun or shade. 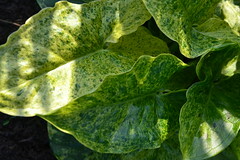 Large pale green leaves marbled with grey emerge in spring. Tidy, smart plant. Shade. 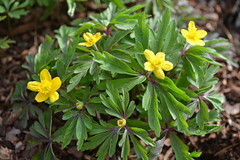 Yellow-speckled glossy foliage overwinter, cream flowers April-May. Part shade. 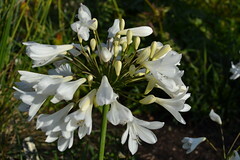 Fine creamy-white flower panicles June-August, lovely feathery foliage. Part shade. 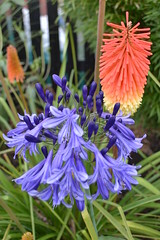 A shorter form with feathery foliage which turns fiery orange in midsummer. White flowers from June. 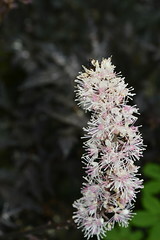 Aruncus will tolerate dry shade. 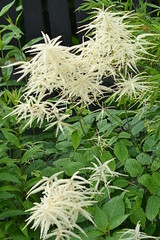 Fine foliage and airy panicles of white flowers. Shade or part shade. Wild Ginger. 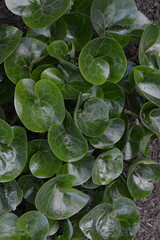 Robust groundcover plant, has glossy rounded leaves and red hooded flowers in spring. Moist soil in cool shade. New from us this year! Icy lilac-blue small daisies in tidy sprays. A laevis type, but is fairly compact, upright and non-running. Contrasting black stems and dark green smoky leaves. Impending storm clouds! A very useful mixer in the border. Named by us! 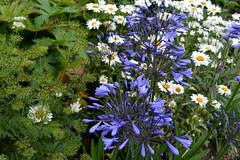 Sprays of pale blue daisies with long, thin, curled petals, similar to, but more curled than 'Lutetia', and taller too. 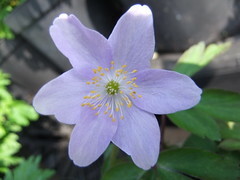 A seedling found over the path from our 'Chilly Fingers', this has slightly wider fingers, and flowers are a deeper lilac, not so chilly! They look great together. 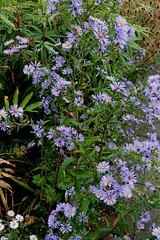 Discovered in our garden, this new aster has mildew-free, fine foliage, and lilac-blue daisies with closely-arranged petals, September-October, on dark stems. A laevis type but less vigorous. Much-requested last year! 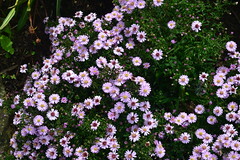 Low-growing mound, smothered with small, fresh pinkish-blue daisies September-October. 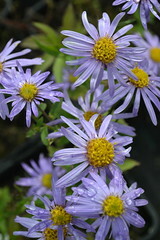 Large lilac-blue daisies. Tidy and mildew-free, as are all A.amellus. 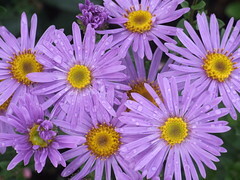 Large pink daisies in autumn. Sun. 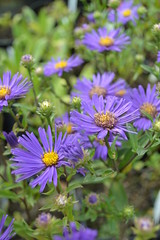 Recently, the name for Aster novae-angliae changed to SYMPHYOTRICHUM novae-angliae, and you can now find our collection in the catalogue under this name. 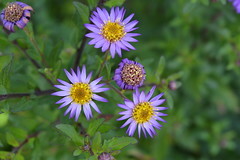 Other Asters can be found under EURYBIA, GALATELLA or even ASTER! Good luck everyone! Syn. 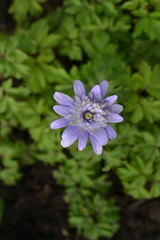 Aster asperulus. 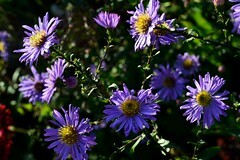 Unusual foliage for an aster. 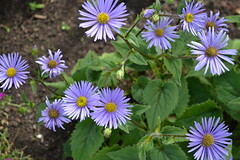 Attractive, large violet-blue daisies from August. Everyone loves it on sight in our garden! 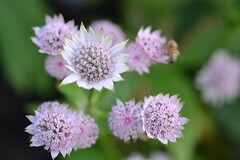 Pale lilac flowers in open sprays from August. 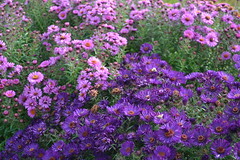 Eyecatching deep violet-purple daisies in profusion, form a tidy mound of colour September-November. Sun or shade. 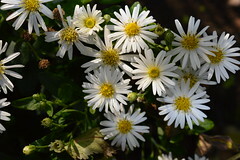 Masses of white daisies over contrasting dark green foliage, midsummer to autumn. 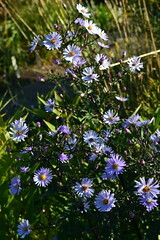 Large lavender-blue daisies on lax stems from August-October. No mildew, but must have moist soil. 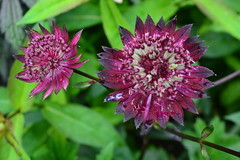 Erect pink flower plumes July-September contrast well with rich chocolate-maroon foliage. Moist soil in part shade. 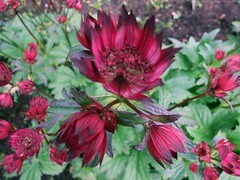 Lovely large, deep red flowers on reddish-black stems in summer, over dark green foliage. 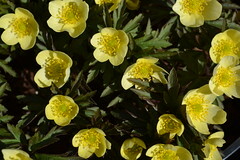 A strong, repeat-flowering variety. Part shade. 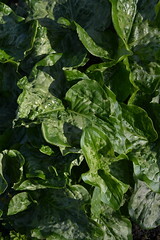 Our new introduction, a seedling from A. 'Bury Court'. 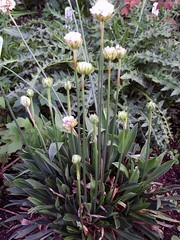 A tidy dome of flowers - green-tipped, pink-edged, white flowers with red centres, on short, thick upright stems. 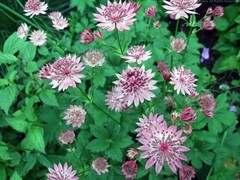 One of the best deep red-flowered Astrantias, has maroon-black stems. Flowers from June. Sun to part shade. From Dove Cottage Nursery. A very dark ruby-red selection from A. Gill Richardson Group. Flowers May-June, and again August-November after deadheading. Part shade. 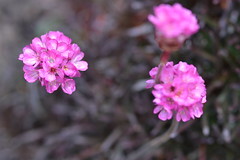 Small silvery flowers surrounded by showy dark pink bracts. 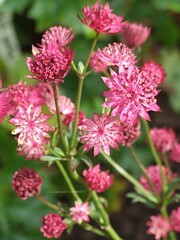 From Elizabeth MacGregor, previously named 'Old Warwickshire Pink', but the National Collection Holder says this is the correct name. Opaque pink pincushions, must be a maxima x major cross. 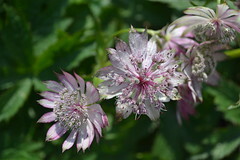 Beautiful silver-pink flowers over a long season. 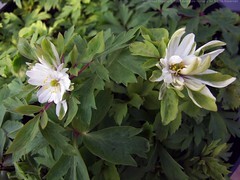 Large green and white flowers flushed with pink May-October. Deep blood-red flowers. 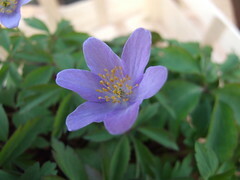 New foliage emerges purple. 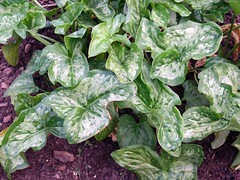 Cream-variegated foliage, opposite way round to A. 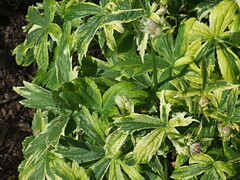 ‘Sunningdale Variegated’. Straw-pink flowers. 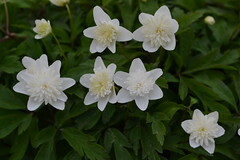 Forms a beautiful clump of dark foliage with creamy-white margins. 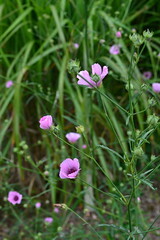 Tall stems with rosy-pink flowers. Leaves are splashed with cream. Keep dead-heading to prolong the variegation into summer. Vigorous and repeat-flowering, with mid-red flowers. 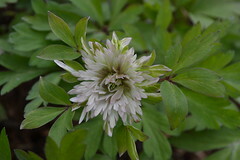 Many creamy-white flowers with green tips. Flowers all summer. 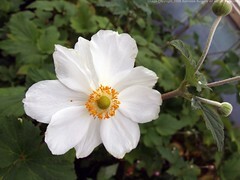 Large white and green flowers over a long season to November! 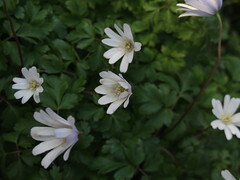 White flowers tipped with green. 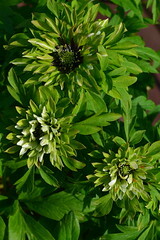 Greenish flowers with a pronounced 'collar' of bracts. Good for drying.